An annual diversity week programme last year prompted the 100 employees at BNP Paribas Leasing Solutions UK in Bristol to put their commitment to a diverse workforce into practical action. 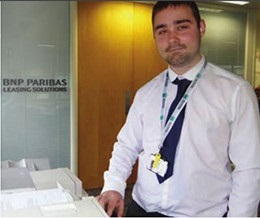 By hiring teenager George Price, who has an eye for detail, a stringently methodical approach to tasks requiring logic and organisation, and excellent maths skills, the organisation, part of global bank and financial services provider BNP Paribas, has both brought on board a fine employee and diversified its Bristol workforce. Price, a facilities assistant at the global bank’s leasing solutions operation, has autism spectrum disorder (ASD). He finds verbal communication difficult, and prefers to communicate with notes and by email. Busy, noisy environments are challenging for him. He also finds shaking hands and eye contact difficult. Sudden changes in routine are hard for him to manage. Until Paribas offered him a traineeship, he had only been able to secure unpaid volunteer work in a charity shop. “In the past I feel that I have been judged as less intelligent just because I am less verbal,” Price told Recruiter. 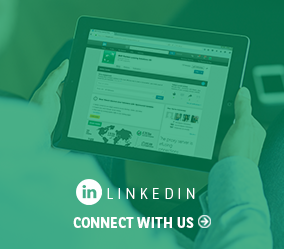 “We were doing an awful lot of listening and not enough doing,” explained Russ Pettifer, head of technology for the leasing solutions arm, about the company’s diversity weeks. Pluss was invited in to discuss with the company the options and challenges in hiring a person who needed extra support in achieving a sustainable work situation. “I said, ‘this is a huge step for us, this is quite a challenge for us’!” Pettifer said. Between 30 and 40 Paribas employees received two sessions of autism awareness training and a traineeship was created, matching Price’s skills to the needs of the business. A ‘buddy’ was appointed from among Price’s colleagues to introduce new tasks to him and help with any work problems. “Having George work with us has made us realise that many of our processes could be much simpler, which has encouraged us to make changes that will make us more efficient as a business,” explained Alex Wakely, Pettifer’s PA.
She gave an example of one change implemented initially for Price that has now been put into practice for all. “We started a weekly email for George detailing activity for the week ahead to help him prepare. We now use this for all staff, which has helped to increase communication across the team,” Wakely said. Pluss paid Price’s wages during his traineeship. Now he’s a full-time Paribas employee. While his employer can’t predict his future career path, there’s a recognition that hiring Price was not an act of charity but a move for the good of the business. And his 100% scores the first time of taking e-learning modules on financial sanctions, embargoes and the fight against bribery have shown Price himself that he has a future. “The success … has given me confidence that this career might be for me, and I am good at it.” says Price.